Club Atletico Independiente fended off Sporting Kansas City in the first leg of their quarterfinal. Reigning MLS Cup champion Atlanta United fell 3-0 to three-time CONCACAF Champions League winners Monterrey in Guadalupe, Mexico, on Wednesday night in the first leg of their quarterfinal series. A penalty kick by Nicolas Sanchez in the 17th minute opened the scoring. Dorlan Pabon doubled the lead in the 80th minute, and four minutes later his assist set up a Jesus Gallardo goal. The second leg is scheduled for March 13 at Atlanta. Atlanta United overturned a two-goal deficit following the first leg in the tournament's first round, beating Costa Rica's CS Herediano 4-0 in the second leg to advance. 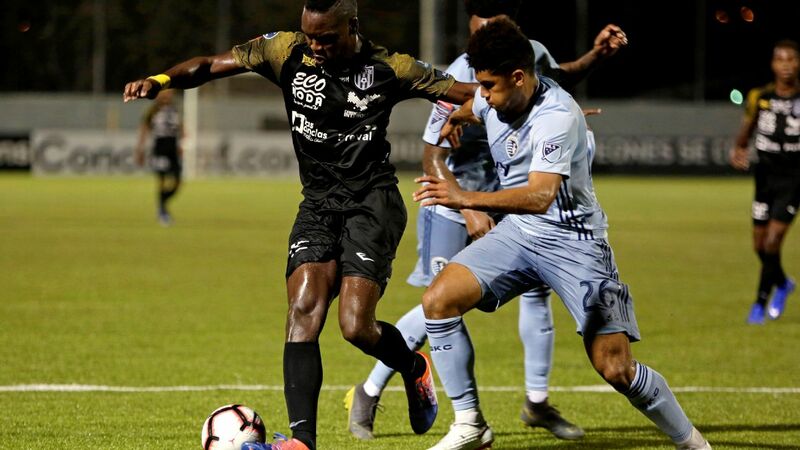 Earlier in the evening, Romeesh Ivey and Alexis Corpas scored goals as upstart Club Atletico Independiente beat Sporting Kansas City 2-1 in La Chorrera, Panama, in the first leg of their quarterfinal series. CAI, in the competition for the first time, upset Toronto FC 5-1 on aggregate in the tournament's first round. Ivey hammered home a shot from close to the penalty spot in the 39th minute after a pull-back pass from Omar Browne near the end line. Ilie Sanchez leveled the game for Sporting KC in the 51st minute with a penalty kick, but CAI jumped back ahead eight minutes later. Corpas' shot from outside the penalty area sailed into the top left corner of the net beyond the leap of SKC goalie Adrian Zendejas. The second leg will be played March 14 in Kansas City, Kansas.